The powerful 4.7-litre V8 engine can now deliver a maximum power of 460 HP (338 kW) and a peak torque of 520 Nm, without penalising fuel consumption and emissions. These parameters, coupled with the electro actuated gearbox featuring MC Shift technology for faster gear changes (down to 100 ms), enable the Maserati GranTurismo Sport to reach an impressive top speed of 300 km/h, accelerating from 0 to 100 km/h in just 4.7 seconds. 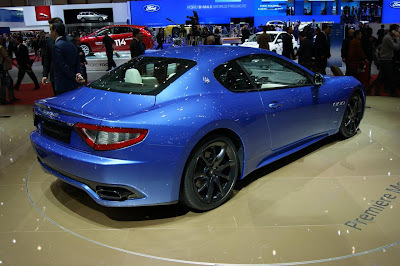 The version with automatic transmission and MC Auto Shift management software (which is also used in the GranCabrio Sport and Quattroporte Sport GT S) also benefits from significantly enhanced performance, achieving a top speed of 298 km/h and acceleration of 0 to 100 km/h in 4.8 seconds. With regards to the suspension, the new Maserati GranTurismo Sport is fitted with the Sport Skyhook system, an evolution of the continuous damping control system that makes the car even more reactive and fun to drive, whilst at the same time increasing passenger comfort. In SPORT mode the car is pin sharp in responding to the driver's input, while in normal mode it constantly adapts the damping to absorb the roughness of the surface for a smoother ride. All this equates to a superb handling capability that combines sports performance and comfort in all driving conditions. The Maserati GranTurismo Sport is available with two different types of transmission: a ZF 6-speed automatic and a 6-speed electro actuated gearbox, with dry twin-plate clutch (not available in North America). The first enhances driving comfort without compromising on performance, while the second offers a more involving driving experience. The restyling of the bodywork has further enhanced its already sporty nature. The front bumper has been redesigned to improve the air flow and the cooling of the front brakes, whilst at the same time to enhance the appearance of the nose of the car, thanks to a new styling element that unites the space between the new headlights and the traditional oval grille. The chromed trident with red accents takes pride of place at the centre of the grille: a detail reserved to the most powerful Maserati cars, in keeping with the tradition of the marque. The front light cluster maintains its original profile, but it has been completely redesigned and improved thanks to the addition of DRL LED technology. The new LEDs give the headlights a further style boost as well as improving functionality and visibility, benefitting car safety. Behind the impressive 20" Astro Design alloy wheels lies the equally impressive braking system of the new Maserati GranTurismo Sport, which employs Brembo dual-cast technology coupled with 6-piston brake calipers at the front and 4-piston brake calipers at the rear. The disc, in a slotted and perforated version, is made of two different materials, cast iron and aluminium, reducing weight by between 15% and 20% and delivering enhanced comfort, reduced corrosion and wear and superior component performance. The caliper, meanwhile, represents a new feature for Maserati and Brembo in terms of colour, introducing a brand new oxidised blue which, thanks to its matt finish, enhances the car's ultra-sporty nature, emphasising once again the meticulous attention Maserati devotes to detail in order to ensure total customer satisfaction. This extends to even the tiniest design detail, fully embracing the "tailor made" principle. The rear of the car has been made even sleeker than before thanks to restyled, darker light clusters that accentuate its dramatic look. The new model introduces a brand new colour called "Blu Sofisticato" which shows off the car's lines to best advantage and frames the countless innovative stylistic features that characterise this new Maserati GranTurismo Sport. 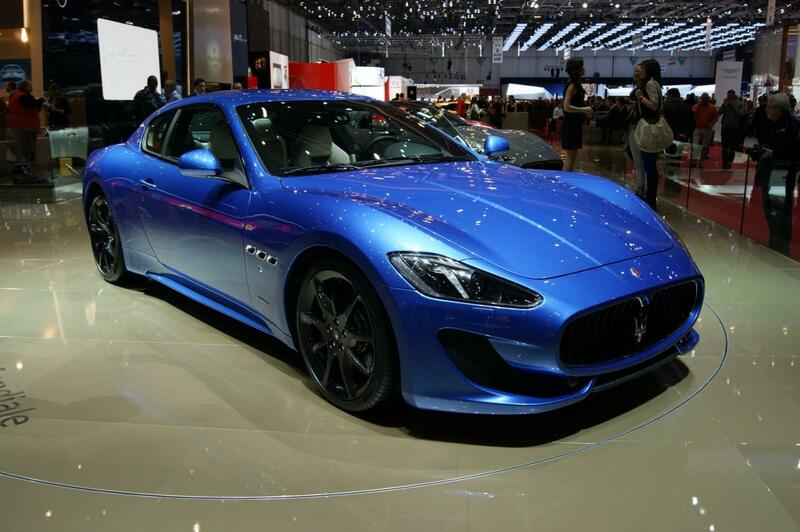 The interior of the Maserati GranTurismo Sport has been treated to a sporty makeover. Passengers can now relax in an interior where luxury, craftsmanship and attention to detail take on new forms. Of particular importance are the new front and rear seats, which not only improve and update the look, but also provide a more ergonomic design; the seats offer better support as well as optimised comfort for driver and passengers on longer journeys. The distinctive new design of the rear shell of the front seats, in leather, also frees up more space for rear seat passengers (+20 mm). 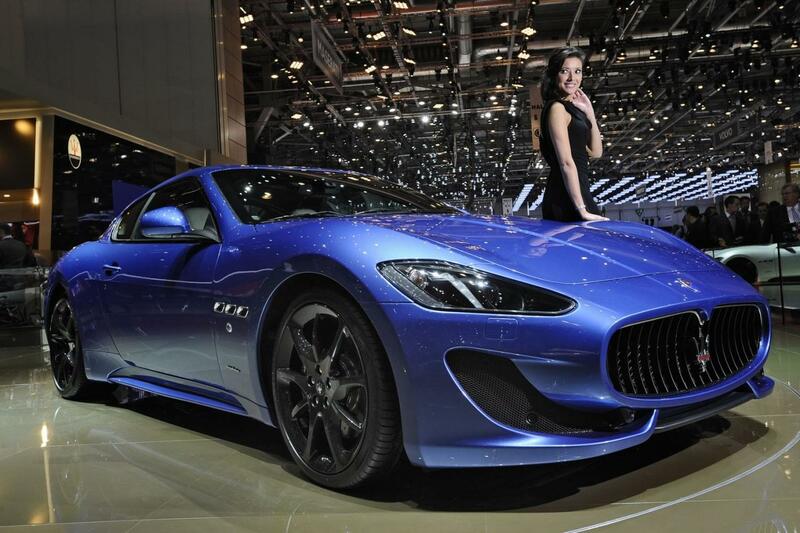 Particular attention has been devoted to enhance the dynamic yet refined spirit of the Maserati GranTurismo Sport. New details in EcoChrome grey and the Poltrona Frau leather upholstery, feature alongside sporty elements such as the gearshift paddles on the steering wheel, inspired by the design of the Trofeo race car, and the aluminium pedals. The steering wheel is also new and is now even more ergonomic and better suited to sports driving, thanks to a flatter rim and a grip with accentuated profile. With these characteristics, the new Maserati GranTurismo Sport follows in the footsteps of one of the most successful cars in the entire history of Maserati. 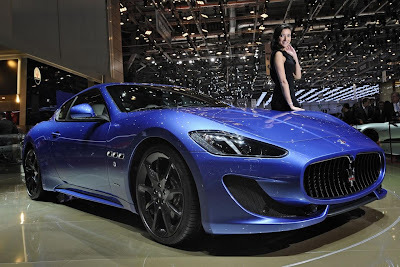 Since its launch at the Geneva Motor Show, back in 2007, around 15,000 Granturismo models have been delivered to customers all over the world. 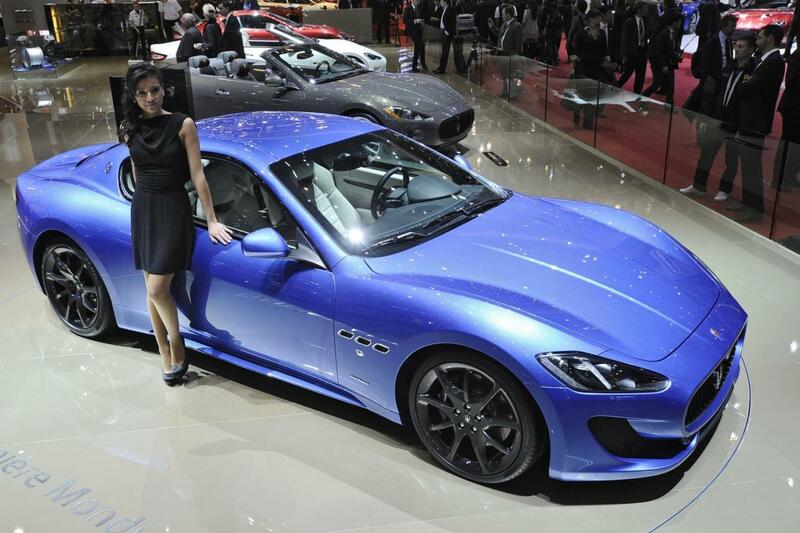 In 2011 the GranTurismo range accounted for 44% of the total Maserati sales, with over 2700 cars delivered to clients all over the world. The United States was once again the number one market, not only in terms of overall product range sales, but also sales by model, with almost 900 GranTurismos sold in 2011, followed by China and Italy.